A regional publisher scored a social media one-two as it topped the charts for Facebook growth. ABCe figures released today have revealed the fast growing regional press titles on social media during the first six months of 2017 from participating publishers. 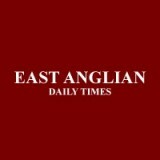 On Facebook, the East Anglian Daily Times scored a 133.4pc rise in users when compared with the first six months of last year, while its Archant sister daily the Norwich Evening News recorded an 80.8pc increase. On Twitter, the Birmingham Mail, which has consistently topped Trinity Mirror’s online monthly ABCe figures this year across different metrics, recorded the highest year-on-year increase. No comment on profits down 46% and 7% staff cuts then?